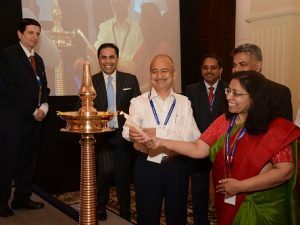 Air Cargo Forum India (ACFI) recently held a conference on ‘India – Future Air Cargo Leader in South East Asia’, in New Delhi. Addressing the gathering, Vandana Aggarwal, Economic Advisor, MoCA, Government of India, said, “In the last few years, we have emphasised on the fact that the entire value chain is important and we cannot work in silos. The result was laudable; air cargo, in terms of volume, has not only grown double-digit in the last two years, but we have also improved performance. Dwell time, which used to be more than 100 hours, came down to 13 per cent in the first year and 25 per cent in the second year. 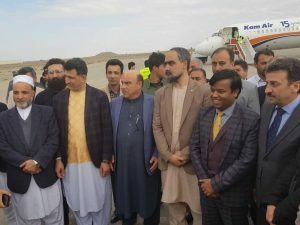 Today, we are stand at less than 39 hours for imports and less than 24 hours for exports, but there is more to be done.” Aggarwal also urged the air cargo community to take measures to strengthen itself to such a degree that these little blips, which were beyond their control, did not adversely affect the overall growth. Pradeep Singh Kharola, IAS, Secretary, Ministry of Civil Aviation, Government of India, was the chief guest at the conference. 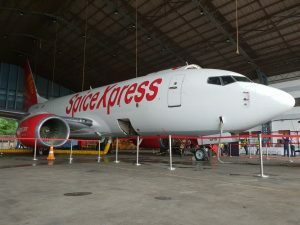 The conference brought together ministry officials and expert speakers from the industry, as well as leaders from both India and abroad to debate on the National Air Cargo Policy that has been outlined and circulated by the government. 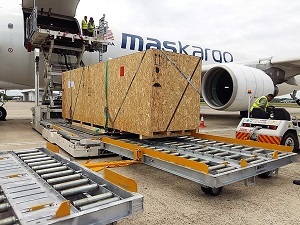 The International Air Transport Association (IATA) has launched a new industry certification, Center for Excellence for Perishable Logistics (CEIV) Fresh, to improve handling and transport by air of perishable products. The specific time and temperature requirements for food and plant products makes the handling and transporting of perishable products challenging. The CEIV Fresh programme meets these exacting requirements primarily based on IATA Perishable Cargo Regulations (PCR) which combine professional regulatory and operational input from industry and government experts. 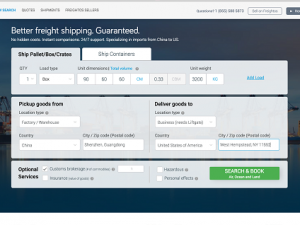 “Perishable goods are a growing market for air cargo. Ensuring that these delicate and short shelf-life products reach the customer unspoiled with minimal waste and loss is essential. 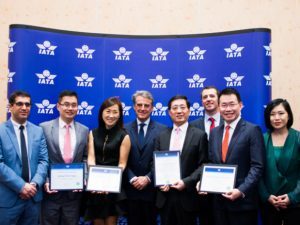 Shippers will have assurance that CEIV Fresh-certified companies are operating to the highest quality and standards in the transport of perishable products,” said Alexandre de Juniac, IATA’s Director General and CEO. 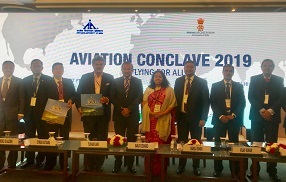 The recently-held Aviation Conclave of the Ministry of Civil Aviation and Confederation of Indian Industries (CII), in New Delhi, saw industry veterans and stakeholders discuss the Air Cargo Policy that was launched in January. Sharing his opinion on the policy, Tushar Jani, President, ACFI, said, “I think we need to plan our growth and it’s difficult to get into the day-to-day problems of simplification, infrastructure, and other issues. I would suggest that with the new National Air Cargo Policy, let’s make a design and decide what should be the blueprint for the air cargo infrastructure in this country. If we can achieve that, our infrastructure probably would be better than a lot of other places.” He added, “I commend Air India for its growth in cargo in the last 1.5 years, which is remarkable. I am sure that carriers, by going direct, have grown their cargo equally. Hence, we need to make a blueprint considering India will be connected directly with many destinations, and the traditional hubs in the Middle East may shift into the US, Europe, or the Far East.” He also said India could perform better in the value-added supply chain than even developed countries, because the labour here is intelligent and available, and the industry must take leverage here. 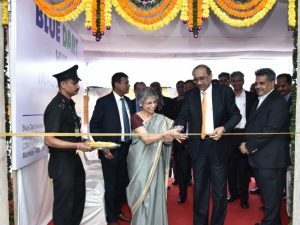 Blue Dart has launched its new state-of-the-art aviation facility strategically located near Terminal-1 (Domestic) at Chhatrapati Shivaji Maharaj International Airport, Mumbai. The facility measures 4300 sqm and is equipped with both air and city-side access, enabling fast and efficient transfer of shipments, improving transit times, and further strengthening Blue Dart’s market-leading service quality. The new facility is equipped with dedicated ground handling with superior equipment, automation, world-class infrastructure, and advanced technologies to support handling of express shipments within the shortest time possible, in compliance with security and safety protocols. 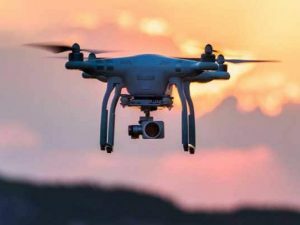 The government has proposed allowing delivery of goods by drones, paving the way for commercial applications in the field. In Drone Policy 2.0, the government has proposed permitting their operations beyond the visual line of sight. “Commercial UAS (Unmanned Aerial System) operations will foster various new forms of air freight capabilities, such as creation of supply chain relay networks for delivery of payload, transport of temperature-sensitive commodities like bodily organs, emergency or just-in-time deliveries of life-saving medicines or safe blood for transfusion, and collection of patient specimens for delivery to laboratory for time-sensitive testing,” the document stated. Inaugurating the first edition of Logix India 2019, Suresh Prabhu, Minister of State for Commerce & Industry and Civil Aviation, Government of India, said that the commerce ministry was working on a draft for the national logistics policy aimed at promoting seamless movement of goods across the country, increasing the warehousing capacity, and reducing high transaction costs for traders. The Minister added that workshops will be organised to seek views on the draft. 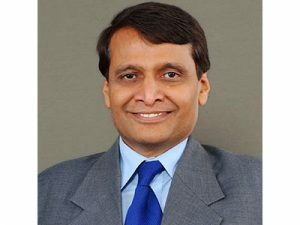 Prabhu reiterated that high logistics costs impact the competitiveness of domestic goods in international markets. He also said that the Ministry was undertaking several steps, including development of a national logistics portal, to boost both domestic and foreign trade. The main departments involved in the process are railways, shipping, road transport, civil aviation, and customs. He further added that improvement in logistics sector would help boost trade and economic development.